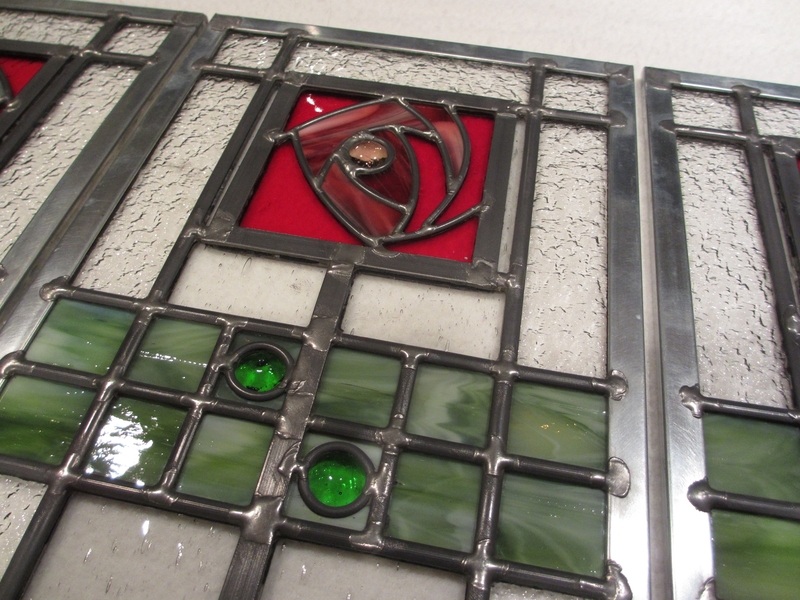 While I was waiting for the hide glue to dry I decided to start planning out the joinery for the door and the stained glass panel I’ll make for it. There is a funny story here, but first some background. Rewinding a bit, the original Byrdcliffe cabinet has a carved and painted Lilly panel in the door. I’m making something in more of a Stickley or Mission theme to match the furniture in our guest room, a carved naturalistic Tulip doesn’t fit. 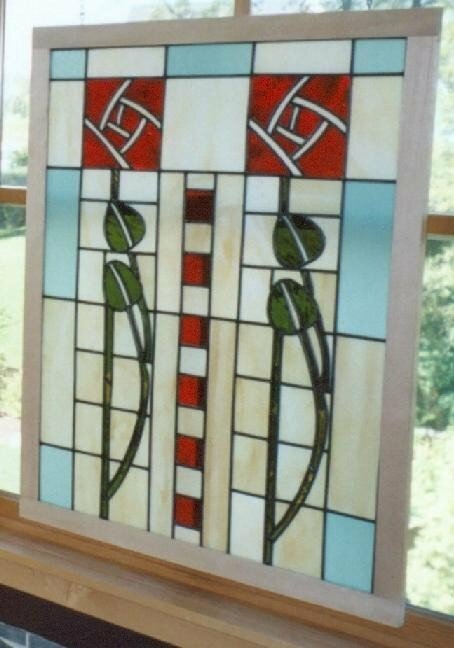 I decided to make a stained glass panel to fit in the door, so I searched for inspiration on the web. 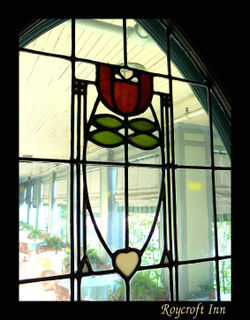 My original idea was to incorporate a stylized rose (sometimes called a “Glasgow Rose” or “Makintosh Rose”) in the panel. I grabbed a bunch of images that I liked so I could review them with my client, eh…wife. Some of these are really nice, I especially like the Poppy. My wife and I have always had Greyhounds, they are an awesome breed. We get them through a retired racers organization. At one point we had four Greys in the house. My wife wanted me to incorporate a Greyhound into the design, but I just couldn’t do it. It didn’t make sense in a Stickley or Mission aesthetic. 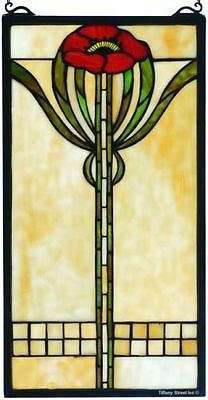 Maybe in an art deco piece, but not in a Stickley with it’s rectilinear lines and utilitarian design. 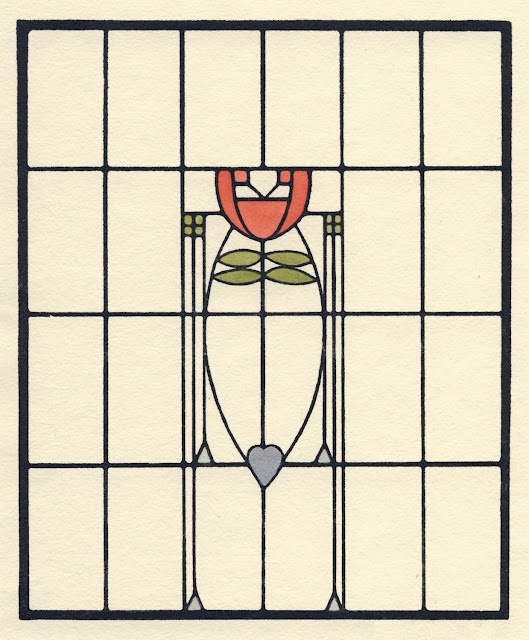 Then I showed her this design from Dard Hunter, with a stylized Tulip. I liked it, but I liked the poppy above more. It certainly fit the intended era and design. Great story! And I really like the simple lines of the cabinet. For some reason it really strikes me, thanks for posting it!